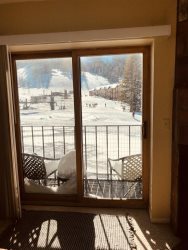 Pyramid Peak Properties is located in the South Lake Tahoe and Kirkwood Mountain Resort area, and was created to offer the finest services to vacation property owners and guest vacationers who love coming here to enjoy this special part of the High Sierra. In todays vacation rental market, we deliver our services with a fresh approach to helping guests enjoy a fantastic vacation, and helping property owners experience a positive return on their investment. Our three main areas of focus include Short and Long-Term Vacation Rentals, Home Sales, and Property Management. The Wehan/Pilar family moved to Kirkwood in 1995 where we first started out as owner/operator of the Kirkwood General Store. Prior to this, we owned and operated Summit Marketing, Inc., which was a wholesale produce company marketing vegetables worldwide with year-round sales of bell peppers and asparagus. This company helped lay the foundation for Pyramid Peak Properties to be the successful company it is today. The company is family run with all staff members treated as though a part of the Wehan/Pilar family. This creates loyalty and pride in our service from all who work here. Why the name Pyramid Peak Properties? Pyramid Peak is a mountain in the Sierra Nevada mountain range within the Crystal Range, west of Lake Tahoe. It is the highest peak in the Desolation Wilderness area, El Dorado County, California with fine views of Lake Aloha, Lake Tahoe, Mount Tallac, Fallen Leaf Lake, Ralston Peak, and other lakes. Its unmistakable pyramid shape lends to its name. Pyramid Peak rises 4,000 feet above the South Fork of the American River Canyon at Twin Bridges. The most popular route, Rocky Canyon is an arduous climb. Pyramid Lake lies at the base of the peak. It offers more vertical relief than any other peak in the Tahoe region, along with great open-bowl skiing above timberline. From all points in the Lake Tahoe Basin, Kirkwood and the San Joaquin Valley, Pyramid Peak soaring at 9,983 feet is in our presence. A constant reminder the allure of Tahoe is not far and a cool mountain paradise awaits your presence. Pyramid Peak is considered “The Sentinel of the Tahoe Sierra” and Pyramid Peak Properties strives to be the same. Joan began this company in 2010 and started with just a few vacation rentals. Since the market was not at it's best she diversified into three branches of real estate. She took on some Community Management of Homeowner Associations in Kirkwood and more rentals as she knew the sales would come in its own time. Now Pyramid Peak Properties is sought out for its community spirit and personal integrity. She and her family came to Kirkwood in 1995 and are still here. Each family member is part of the community. As past broker of Kirkwood Mountain Realty from 2003-2010, Joan is a motivated, creative and a versatile real estate executive with over eighteen years of experience in the real estate business. Specializing in the sales and marketing of home sites, condominiums, shared ownership, new projects and luxury homes in the Kirkwood and Tahoe areas. Jon knows customer service like no other. Your concerns are his concerns and you'll feel his personal touch the minute you speak with him. Having used to own and run Kirkwood’s general store, he has deep roots in the community and is a Kirkwood weather aficionado! He spends almost every day at Kirkwood making sure things run smoothly for us whether its a rental or a homeowner association. Jon's deep knowledge of historical data and how something should function only proves his problem solving capabilities. He also runs our after-hours emergency line so that our guests never feel out of touch! Cory has many talents, among them are his skills in our maintenance department. He can figure out how to solve almost any dilemma. His foresight and planning keeps us from making too many mistakes. Cory has accomplished learning the administrative and financial side of Pyramid Peak Properties as well. Invaluable to this company and community, Cory is a pleasure to get to know. He also helps Jon run the after-hours emergency line. Fun fact: Cory attended Kirkwood Elementary School that used to be located in the Sun Meadows 4 building, so Cory knows Kirkwood in and out having grown up there. With a love of Lake Tahoe going back to childhood, Kim made the move to South Lake Tahoe in 2014. She brings 20 years of real estate and marketing experience to Pyramid Peak Properties, as well as a degree from CSU Long Beach. Kim’s technical expertise in the real estate and vacation rental fields are essential to PPP’s expansion into the South Lake Tahoe and Fallen Leaf markets. Her expertise of the unique market in Kirkwood is something you can rely on. Cody manages our maintenance staff and does everything from snow removal to property management. He helps to keep our properties in tip top rental shape! Cody recently received his certification from the Community Association of Community Managers. You may see him around Kirkwood with his side-kick dog Kiwi. He has a degree from Chico State in Construction Management and now makes South Lake Tahoe his home. Kelly is a long-time employee at Kirkwood Mountain Resort and now on our team bringing her knowledge of the valley and South Lake Tahoe alike. She is an avid outdoor enthusiast who loves to back-country skiing, boarding, ice-skating and mountain bike riding. We've known and adored Kelly for many years and so happy she is heading up our accounting department as well as a main reservations technician. Such a dynamo! Stacey comes from Doylestown, PA and her education shows. Stacey teaches us something new every day and is a great asset to our company. She came to Kirkwood in 2015 and hasn't stopped working. We have to make her take a day off as her dedication to accuracy and efficiency is foremost on her mind. Right away in her employ she tackled the East Meadows subdivision by getting on the backhoe and clearing out ditches, culverts and brush. Her talents range from very physical to integrated computer and office skills. And one of her best attributes is her genuine personality in caring for others. Bryce brings a plethora of talent to the team with his engineering mind and attention to detail. His background stems from his latest endeavor with the USDA ARS - Reno Unit as a Biological Technician after graduating UNR. We are happy to bring Bryce on full-time where he will be working all areas of the company and transitioning into Real Estate. He has been working with us off and on since 2010 and understands the challenges the High Sierra poses year-round. He too grew up in Kirkwood and was on the Kirkwood Ski Education Foundation Race Team. Bryce has spent the last few years coaching at KSEF ultimately as head coach. Juan Carlos and Ana met Joan a few years back when they started as her personal house cleaner. They did such an amazing job that Joan hired them on to help our ever growing South Lake Tahoe and Fallen Leaf Lake properties. Juan Carlos pitches in on the maintenance end as well - He can do it all!